If you are going to Gen Con and get a chance to play The Great Dinosaur Rush then this post is for you! 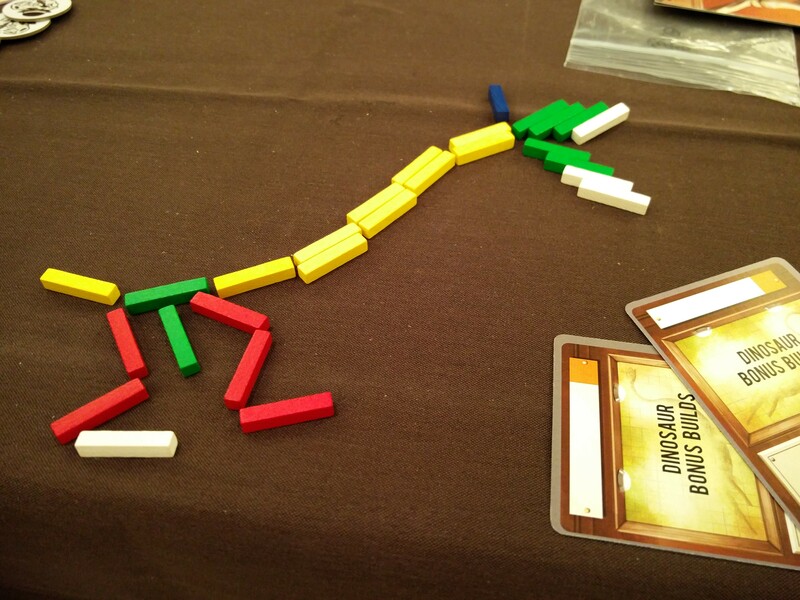 Take a picture of your best dino build and post it to BoardgameGeek or Twitter for a chance to win a $50 APE Games gift certificate to use at the convention. Stop by the APE booth (#1739) to see if you’ve won! We’ll pick one winner each night, and post the name in our booth the next day!